Hindus consider Vedānta as the ultimate knowledge of reality whose emphasis is on human behavior. Sciences also determine reality that is evidence based but is not restricted to human behavior. Vedānta and Sciences should, therefore, have overlapping region and convergence of their worldviews. We got a glimpse of overlapping region by identifying Brahman and Jagat, respectively, with quantum and classical versions of reality. The convergence in their worldviews will, probably, require Vedānta to come out of its mold and to interact with scientific thinking and biological data. There appear some contact points between Sciences and Vedānta that can catalyze their interaction, trigger the evolution of Vedānta, and enlarge the overlapping region. These points belong to relativity theory, quantum field theory and unexplained holistic features of living systems. The Krishna Path. Did quantum physics come from vedas? 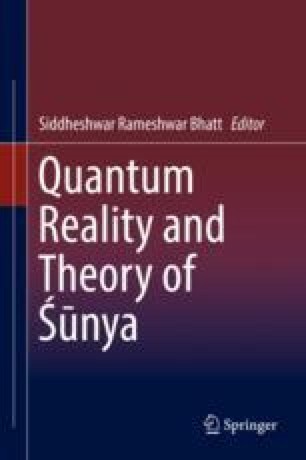 http://upliftconnect.com/quantum-physics-vedas/ (2016). Towler M. De Broglie-Bohm pilot wave theory and the foundations of quantum mechanics. www.tcm.phy.cam.ac.uk/~mdt26/pilot_waves.html (2009).